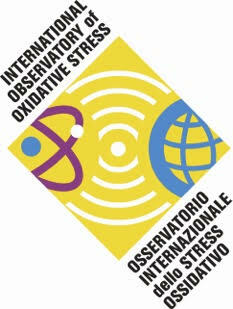 Oxidative stress has been implicated in a variety of pathophysiological conditions, including neurodegenerative disorders. Irrespective of the source and mechanisms that lead to the generation of reactive oxygen species (ROS), mammalian cells have developed highly regulated inducible defensive systems, whose cytoprotective functions are essential in terms of cell survival. When appropriately activated, each one of these systems has the possibility to restore cellular homeostasis and rebalance redox equilibrium. Activation of antioxidant pathways is particularly important for tissue with relatively weak endogenous antioxidant defenses, such as the brain. Increasing evidences, in fact, support the notion that reduction of cellular expression and activity of antioxidant proteins and consequent augment of oxidative stress are fundamental causes for aging processes and neurodegenerative diseases . Among the molecules belonging to stress protein family, Heme oxygenase-1 (HO-1) has been the object of intensive studies in the brain for its potential role in protecting neurons against cell death. HO enzymes provide the first and rate-limiting step in heme degradation, to give biliverdin, gaseous carbon monoxide and free iron. All the byproducts of HO activity play a significant role in physiological cell functions . In the CNS, the HO system has been reported to be very active [3, 4] and its modulation seems to play a crucial role in the pathogenesis of neurodegenerative disorders. Deregulation of the HO system has been associated with the pathogenesis of Alzheimer’s disease , multiple sclerosis and brain aging . Many studies clearly demonstrate that activation of HO-1 in neurons is strongly protective against oxidative damage and cell death . Thus, modulation of HO-1 should represent a potential pharmaceutical strategy for the treatment of neurodegenerative disorders. A number of experimental and epidemiological studies have recently supported the beneficial effects of some commonly used natural products in preventing various pathologic conditions ranging from cardiovascular diseases to cancer. Spices and herbs often contain phenolic substances with potent antioxidative and chemopreventive properties . 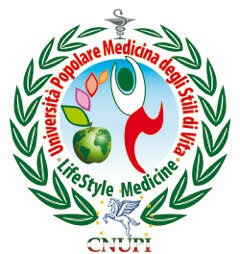 We have previously shown that curcumin (1,7-bis[4-Hydroxy-3-methoxyphenyl]-1,6-heptadiene-3,5-dione), a natural phenolic agent, extracted from the rhizome of Curcuma Longa, strongly induced HO-1 expression and activity in rat astrocytes . We have then extended our findings demonstrating curcumin ability to induce HO-1 in cultured hippocampal neurons . Our results indicate that curcumin activates HO-1 and phase II enzymes expression in astrocytes and neurons, probably by activation of transcription factor Nrf2, and this activation is able to effort a significant cytoprotection in cultured neurons exposed to oxidative stress. The involvement of curcumin in restoring cellular homeostasis and rebalancing redox equilibrium, suggests that it might be a useful adjunct also in the treatment of neurodegenerative illnesses characterized by inflammation, such as Alzheimer’s disease. This idea has been reinforced by epidemiological studies showing that, in India where this spice is widely used in daily diet, there is a reduced age-adjusted prevalence of AD (in patients between 70 and 79 years of age is 4.4-fold less than that of the United States) . Consistent with its possible use in neurodegenerative diseases, curcumin has been reported to decrease oxidative damage and amyloid deposition in a transgenic mouse model of Alzheimer’s disease , and to reverse Aβ-induced cognitive deficits and neuropathology in rats . Other plant-derived phenolic agents with analogous chemical structures to curcumin have been demonstrated to strongly activate HO-1 expression and to defend cells against oxidative stress. In particular we have shown that ethyl ferulate, resveratrol (a phitoalexin derived from grape) and caffeic acid phenethyl ester (CAPE), are able to protect neurons via HO-1 induction . Our and other studies identifies a novel class of natural substances that could be used for therapeutic purposes as potent inducers of HO-1 in the protection of tissues against inflammatory and neurodegenerative conditions. It needs to be emphasized that curcumin, and other plant constituents eventually become part of the human diet and can be consumed daily as herbal supplements. Further in vitro and in vivo studies using curcumin-like molecules will give us important information on the feasibility of developing new pharmacological strategies for maximizing heme oxygenase activity in targeted tissues as an alternative to or in combination with HO-1 gene therapy.